An in depth study into the international demographics of overseas fans buying tickets for Premier League games has highlighted the huge appeal of England’s top flight across the globe. Indeed, the study found that Americans are the most numerous Premier League fans from overseas, when it comes to purchase of resale tickets for domestic matches. Meanwhile it was also revealed that Champions League games are cheaper than Premier League games on the resale market for Chelsea and Manchester United, though the reverse is true at Arsenal and Manchester City. All of those ‘big four’ clubs who represented the Premier League in the Champions League this season, before United’s early exit, have huge fanbases outside the UK and all have investors or owners from foreign shores. With huge numbers of international players and managers in the Premier League it is little surprise that such high numbers of fans are heading to watch games in England. 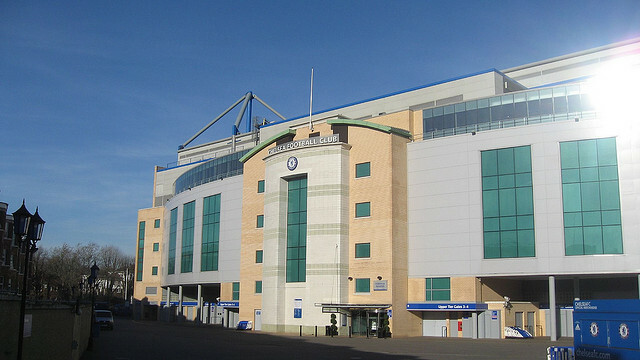 London is of course one of the world’s top tourist destinations and the cosmopolitan nature of Chelsea football club means they attract higher ratio of spectators from overseas than any other top flight club, according to data released by Ticketbis.net. Furthermore, at Chelsea and Manchester United ticket prices are cheaper for Champions League matches than Premier League games on the secondary ticket sales market, again underlining the appeal of the domestic game, even if things are not quite going to plan for either side so far in the 2015-16 campaign. Ticketbis.net found that 28.05% of overseas buyers for Premier League games last season went to see Chelsea. The draw of London is clear to see, as Arsenal welcomed the second highest share of visitors from abroad to their league fixtures with 26.46%. Manchester United are well known for attracting fans from abroad and they sat third in the ‘foreigners league table’ standings on 15.91%. Champions League tickets for United resell at an average price of £97, much lower than for Premier League games at £171. Similarly for Chelsea domestic league matches cost an average of £164 to attend on the open market, but that price drops to £119 per ticket for Champions League matches. In contrast, average resale ticket prices for Champions League games at Arsenal (£165) and Manchester City (£147) are slightly more expensive than Premier League games – which on average cost £164 and £133 to attend at Arsenal and City respectively. The figures also highlight the fact that Americans are confirmed as the Premier League’s biggest foreign fans buying resale tickets, being the only country to appear in the top three nationalities of overseas supporters that buy tickets for each Premier League ground. The rapid growth of football or ‘soccer’ in the United States is demonstrated by the findings. No less than 38 Americans have played in the English top flight since 1992, while a growing number of ex-Premier League stars are making the trip across the pond to play in Major League Soccer.